Burnley saw through the noise at the London Stadium to register their biggest win of the season against West Ham United. The fixture threw up some ugly scenes as fans protested against the Hammers' board, leading to joint chairmen David Sullivan and David Gold being escorted to safety by security. 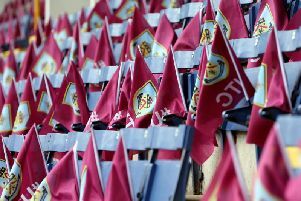 The Clarets worked admirably to play through the poisonous events that surrounded them, keeping their composure as boss Sean Dyche called for calm, encouraging his players to keep their heads. And they did just that with a wonderful second half display that saw Ashley Barnes score in his third game in succession in front of Austria boss Franco Foda. The Clarets are well versed in edging delicate margins in the Premier League, an attribute that has helped them to seventh spot in the division having scored less than a goal a game on average. But it seemed unlikely that the visitors would get their noses in front in the first half at the London Stadium, however, as they struggled to ask questions of their opponents from an attacking perspective. Joe Hart's goal was untouched, his defence untested, and it was England hopeful Nick Pope who had the greater amount of working to do, denying both Marko Arnautovic and Manuel Lanzini. The first from the Austrian international was probably expected from a goalkeeper in such form as he gave the forward little to aim at from an acute angle and saved with his legs. Lanzini then curled an effort over the top from the edge of the area while Joao Mario guided a volley over the top once Pope's route to Aaron Cresswell's corner was blocked off. Pope then ensured the away side went in level at the break, staying tall when Lanzini threatened from Angelo Ogbonna's headed assist before sticking out his boot to deny the striker from tucking the ball inside the near post. The second half, though, was completely different as the Clarets were confident and clinical in front of goal, despite the vociferous demonstrations that surrounded them. Barnes even had a goal, wrongly, chalked off as the visitors dominated proceedings in the capital. The striker rolled off the shoulder of Ogbonna to meet Stephen Ward's incisive pass and fire beyond Hart only to have his celebrations cut short by the linesman's flag. The 28-year-old pulled a shot wide of the upright shortly after when linking up with substitute Chris Wood but he wouldn't be denied again in front of Foda. Burnley responded remarkably to reverting to a 4-4-2 following the introduction of Chris Wood, as they did in the 2-1 win over Everton previously. The record signing ghosted in behind Ogbonna to claim possession out wide, fed the ball in to Barnes and the former Brighton man picked out the top corner with a thunderous drive. Having taken the lead in the 66th minute, the away side doubled their advantage four minutes later which turned the atmosphere even more toxic. Ward had the ball on the left, Gudmundsson contributed, Barnes had a say and then Aaron Lennon's cross was stroked home from close range by Wood. Arnautovic threatened to pull a goal back when directing a header at goal from Chicharito's delivery but Pope was well placed to gather the ball. And then Wood netted his third goal in two games, pouncing on Hart's error as the Three Lions stopper fumbled Gudmundsson's strike to tuck the ball in to the net.